Classic style! 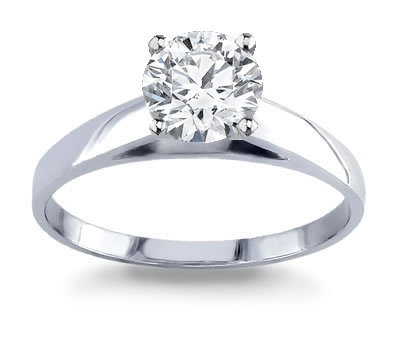 This 14k white gold engagement ring features the shanks softly rounded coming up to accentuate the brilliant center stone. The cathedral setting is always a popular choice with clean lines and beautifully showcases the dazzling center diamond!